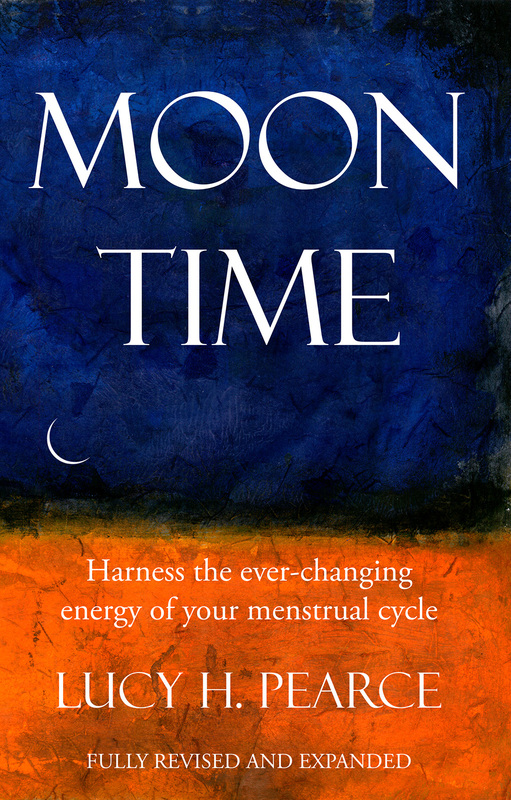 This week sees the publication of the second edition of a book by Lucy Pearce that’s close to my heart: Moon Time – Harness the ever-changing energy of your menstrual cycle. I met Lucy in her role as commissioning editor of Juno magazine, in which some of my articles have been published. She’s a great networker, and a powerful voice for women. Her new book is poised to make some waves in the world, and I am cheering her on. In my view, anyone who helps women – and eventually men – to understand the power and the wisdom of the female cycle is a revolutionary. Just think for a minute – How different would our world be if we honoured and valued all the seasons of a woman? So I read The Wise Wound, and I read Her Blood is Gold. I was blown away by a new way of looking at my cycles. Until then I had thought of myself as binary, either ‘on’ (having a period) or ‘off’ – being normal. Or, worse, as a defective man: mostly normal, but with a blip once a month when I was a bit weak and useless. Now I understood that at any time I was somewhere in my cycle. Like the moon. How different that felt. And I read that in indigenous cultures, ‘moon time’ was a time when women would retreat to their special lodge and spend time together, dreaming, resting, singing. I wrote a song called Moon Time, but I was too shy to play it in public. 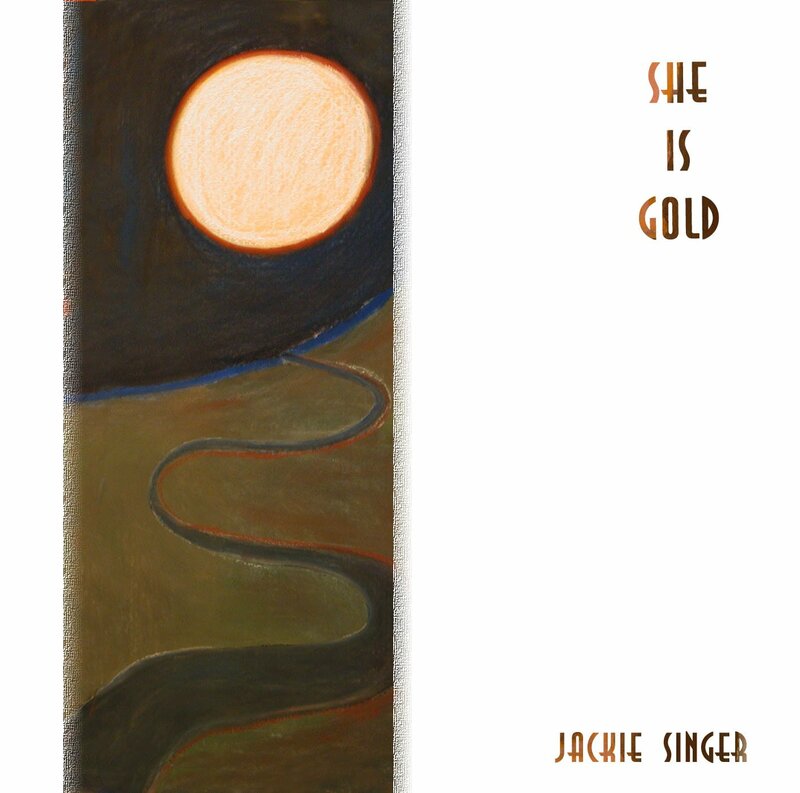 I wrote another song called She is Gold (with reference to Her Blood is Gold), which was about being premenstrual. She Is Gold became the title track for my solo album, but I don’t think anyone understood my oblique references. My brother actually quoted from this song in a speech he made at my wedding . . . little did he know! Now, traveling around the month with my cycle is a natural part of my life. I cherish my Moon Time as a time to rest and dream. I tend to feel tired and heavy, but more centered and unflustered. I don’t rush about getting things done; I try to let the busyness wait. I currently run a creative mentoring group for 12 year old girls, calling themselves The Wolf Clan. Recently, I was excited to share with them this way of looking at menstruation. I used stones and shells on a circle of black cloth to represent the cycle of the moon, which they related to easily. Then I mapped the menstrual cycle onto the moon cycle. I also told them a beautiful Native American story, which I found in Lucy Pearce’s book. It tells of how Grandmother Ocean and Grandmother Moon conspire to give women an opportunity to let go of all the negative emotions and heartache that they took on for their children, their families, their tribe. “So ever since then, every woman has a time each moon cycle when she embodies the power of the moon and flows the cleansing of the ocean. We call this the woman’s time of the moon, or moon-time. Amen and Aho to that. And huge thanks to Lucy for her courage and vision in bringing this work forward. The book launches on Friday 5th June, and if you buy a book on the day, you can access some special deals of the type that Lucy’s good at.